Interview with J.D. and Ted MacFarlane conducted March 2011. Growing up in Pueblo, in the 1930s, J.D. and Ted MacFarlane remembered their mother Estamae as a strong-minded woman - a woman who never let anyone, or anything, get in her way. "The incident that best describes her was a battle with a city commissioner who lived a couple of blocks away from the 7th Avenue house where we lived," said J.D. MacFarlane. "At the time, the avenue streets nearby were unpaved, and the adjoining arterial street was torn up pending a long-delayed repaving. The dust was terrific when cars, trucks, and city buses passed by. One day she had laundered some white curtains and hung them out to dry, when the ever-present wind came up and big clouds of dust settled on the curtains. She gathered up the curtains, dust and all, and took them to the commissioner's office at city hall. After checking that he was there, she charged into his office and shook the sheets over his desk. The repaving job was done, muy pronto." While she and her husband John (who was the general manager of Standard Brick Company, in Pueblo) made a home for their family, Estamae tended to the household, on occasion taking part-time jobs, including substitute physical education teacher, director of the Pueblo Junior Red Cross, and square and folk dance teacher. 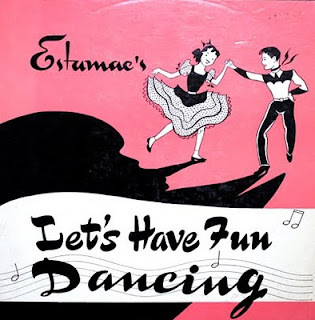 After World War II, Estamae took an Arthur Murray dance instructor course and began teaching her own classes in square, folk and modern dancing. She formed a demonstration square and folk dance team at the 7th &amp; 8th grade levels, continuing on with that demonstration team throughout high school. "Ted and I were part of that team until athletics required my time elsewhere. 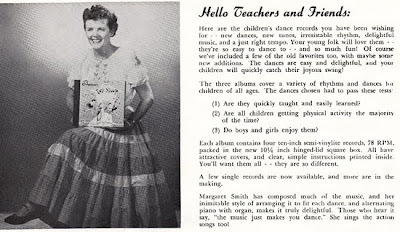 From that time on, she continued teaching younger and younger children, beginning with preschool ages and rhythm training," said J.D. MacFarlane. 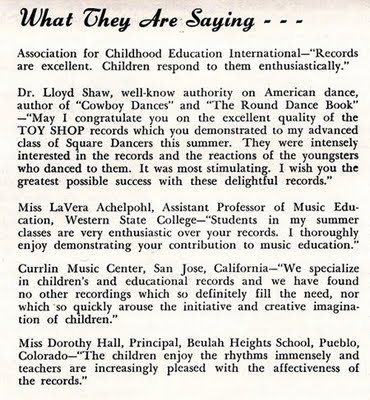 "She developed out of these experiences a belief that every child can benefit from rhythm training leading to dance training, especially children with serious mental or physical handicaps. Then she began to teach teachers the techniques, first in Pueblo schools, both public and parochial, then in Pueblo County. From that experience she perceived a need for extending the techniques to schoolteachers beyond Pueblo. She was well aware of Dr. Shaw’s recordings and consulted with him about how to proceed." By that time all of her three children (including J.D. and Ted's older sister, Joanne) had left home, either to attend college, or pursue their own adult lives. She decided it would be the perfect time to produce her own records. 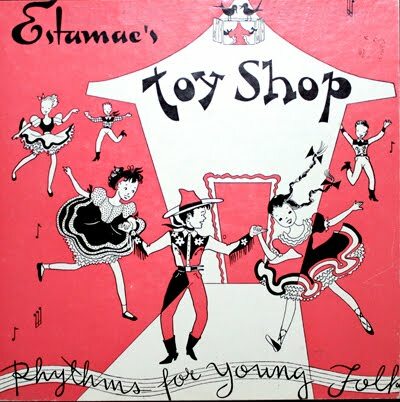 Her first box set was Toy Shop - Rhythms for Young Folk. She followed up immediately with three other sets, Let's Have Fun Dancing - Easy Couple Dancing, Lets Have Fun Dancing - Social and Variety Dancing, and Circus Fun and Ball Bouncing. "The music selection included some old folk songs and tunes from square and folk dancing," said Ted MacFarlane. 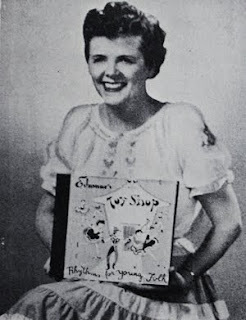 "Many were oldies from a couple of old songbooks she had, songs from the 19th century; pop songs from Mom's childhood that her mother sang, who, being native Welsh, was probably as musical as her Welsh heritage. Some were Civil War songs." 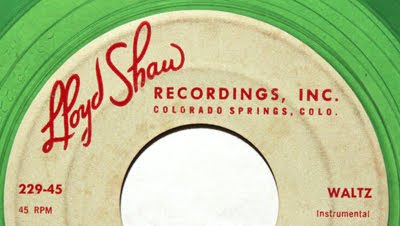 Diving into the recording project, she enlisted the help of Margaret Smith, a Pueblo musician, who performed the instrumental parts for all but one of the songs. "I was a trombonist from 6th grade through college," said J.D. MacFarlane. "To Mom that meant that I must play a trombone piece, thankfully short, for one of the records in one of the albums. The tune I played was from my trombone basic practice book." To sell the set, Estamae took to the road and literally stopped at school districts along the way, signing up interested teachers. She would fulfill the orders from albums stockpiled in the family home. "She stored the record inventory in a storeroom adjoining the garage, which was attached to the house," said J.D. MacFarlane. On Jan. 12, 1958, on her way back to Phoenix to produce her fifth box set, she was killed in an automobile accident near Española, N.M. She was 56 years old. As a testament to her success with the project, album orders kept pouring in - many from school districts who were probably unaware of the family's tragedy. "Our Aunt Dorothy, a retired widow living with her sister Hazel in Pueblo, agreed to continue filling orders for the existing four albums as they came in," said Ted MacFarlane. She did so for 27 years, until she died at the age of 80, in 1985. 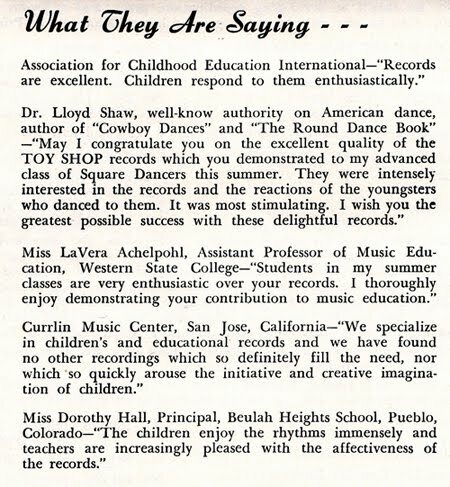 "Those records obviously answered a need teachers had for the product," said J.D. MacFarlane. "Mom knew what she was doing and knew what kids needed and responded to. That makes me belatedly extremely proud of her." Joanne MacFarlane Gritz graduated from Centennial High in 1945, after which she attended the University of Colorado and Columbia School of Law. She was a lawyer for the New York Public Service Commission, the New York Waterfront Commission, clerked for United States District Judge Lawrence Walsh (S.D.N.Y. ), and worked for the New York City law firm Davis Polk Wardwell. She died in 1978. J.D. MacFarlane graduated from Centennial High in 1951, after which he attended Harvard, as well as Stanford School of Law. He went on to serve in the Colorado House of Representatives and State Senate (1965-1970). He later served as the state's Attorney General (1975-1982). He is currently retired in Denver. Ted MacFarlane graduated from Centennial High in 1953, after which he attended Swarthmore College and the Missouri School of Mines and Metallurgy, obtaining his M.S. At Clemson University. He spent his career as a materials engineer and plant manager for the A.P. Green Co. of Mexico, MO, a major refractory manufacturer. He is currently retired in Mexico, MO.